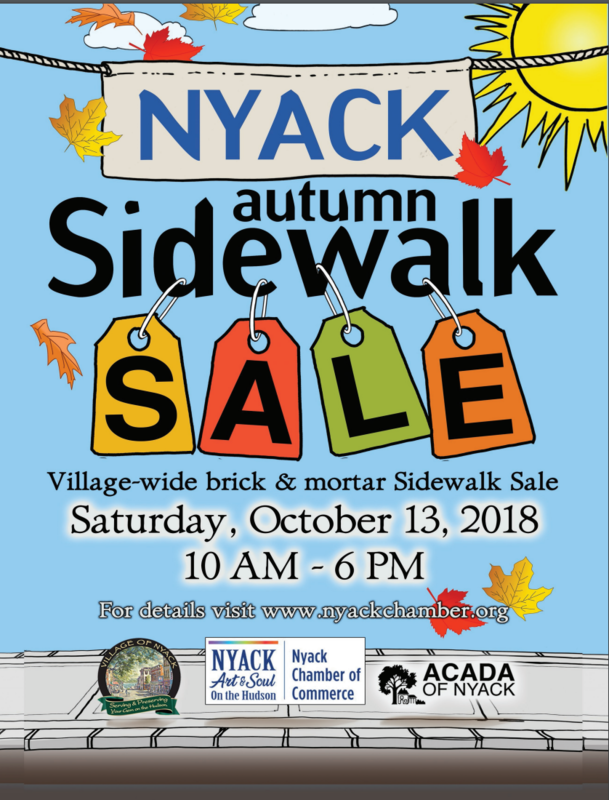 The Nyack Chamber of Commerce is hosting an autumn sidewalk sale on October 13. Retailers interested in participating can contact Village of Nyack Recreation Director Melody Partrick at (914) 629-9748 or recreation@nyack-ny.gov. If you have any questions regarding the sidewalk sale event and or the permit application, please feel free to contact Maria Luisa at 845-664-8492.